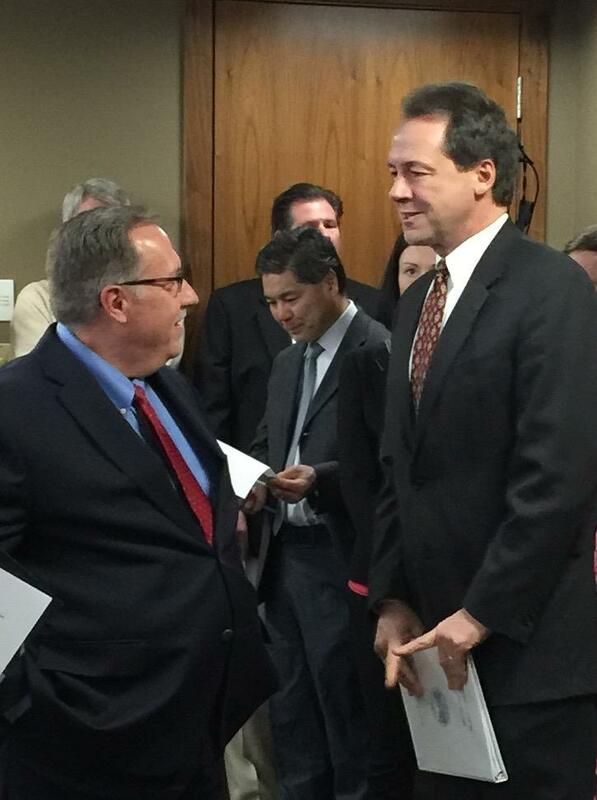 Avitus, Inc. President Don Reile (L) talks with Governor Steve Bullock (R) before the official announcement the company will receive a $490,000 workforce grant. The money is to hire 58 employees in Yellowstone County in the next year. Money is also for training. Avitus President Don Reile says the grant will also be used to train employees. The company provides what it calls “back office support” to business so they can focus on their core mission. Among the services Avitus provides are for payroll, taxes, recruiting or information technology. It currently has more than 260 internal employees, most are at its Billings Operations Center. O’Leary says the company has the option to re-apply for a grant again in the second year. Company officials say doing that could bring its total number of hires to 80. Governor Steve Bullock calls the grant a partnership between the public and private sector. He says while a $490,000 grant sounds like a lot of money. Bullock says it’s an investment in Montana’s economy. Big Sky Economic Development wrote and is helping administer this grant for Avitus. The public-private economic development arm for Yellowstone County can help other employers in the county that are looking for assistance expanding their operations.